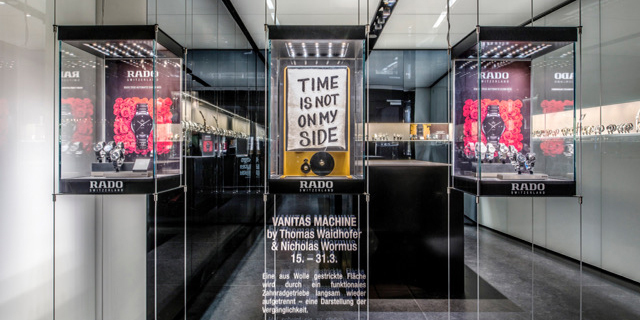 Thomas Waidhofer and Nicholas Wormus are a pair of artists and designers, who are using the display window of the Rado boutique in Vienna to showcase a modern interpretation of the Vanitas still life. The third installation from the Rado Star Prize Austria 2017 design competition is called “Vanitas Machine” and is on display representing transience until the end of March 2017. The designers are presenting a work of art, which will disintegrate of its own accord over the course of the exhibition. A surface knitted from wool and featuring the expression “Time is not on my side” is slowly unpicked by a functional cog wheel transmission. The Vanitas Machine is a representation of transience. “Sometimes it appears to stand still, sometimes to run away. It constantly ticks and gnaws away with its cog. It is not for sale and yet at the end there is a price to pay. “Time is not on my side” is the idea behind the title of this project, which is all about the time factor. The designers Thomas Waidhofer and Nicholas Wormus have developed an installation made up of two interrelated components. The first part consists of a surface knitted from wool, which is mounted vertically in a frame. 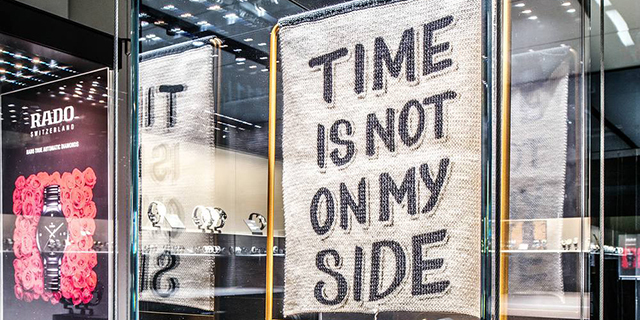 The phrase “Time is not on my side” is knitted into the surface. The thread of wool at the end of the knitted surface is connected to the other component – a cog wheel transmission driven by a clock mechanism. The clock mechanism is functional and pulls constantly and steadily at the thread of wool as time passes, which means that, slowly but surely, the knitting with the writing is unpicked. The work of art is therefore transitory and is intended to disintegrate by the end of the exhibition. 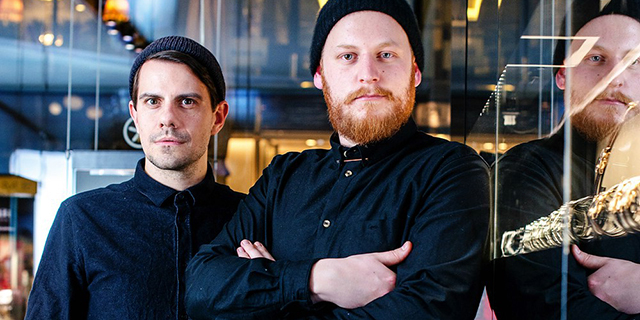 Thomas Waidhofer and Nicholas Wormus are the co-founders and creative directors of a design studio in Vienna and a creative agency. The focus of the artists and designers’ work is on digital art.